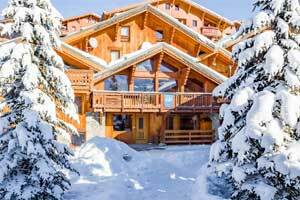 You can pre-order lift passes so that they are ready and waiting for you when you arrive at your chalet. This will save you the hassle of queuing at the Lift Pass Office and contribute to a relaxing start to your holiday! Please see the tables below for the options in our three resorts. The prices are only indicative and do vary slightly in line with exchange rate fluctuations. If you’re not quite sure which pass is right for you give us a call and one of our knowledgeable team will give you some help in selecting the appropriate one! To make payment for your passes please call our office on 01684 540333. You have up until 2 weeks before your holiday to do this. 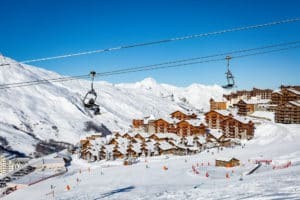 Our staff will let you know of any lift pass deals which may be available for the week of your holiday. 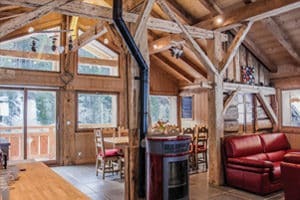 We work with carefully selected partners in each resort who offer great prices and can deliver your equipment to your chalet, allowing you to avoid the Saturday evening rush to the crowded hire shop. If you find the equipment is not quite right it can be easily exchanged for something more suitable. 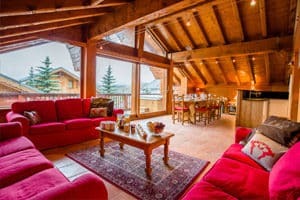 Please use the links below to book directly with the Equipment provider (you must use the links to get free delivery to your chalet), your contract will be with them and payment should be made direct to them. Make sure your rental period is from the Sunday to the Friday! 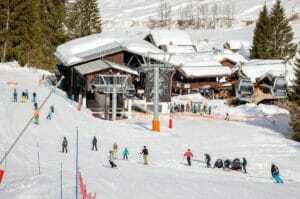 Reberty Ski Hire – All 4 Ski (Click on the Union Jack top right hand corner for English page). 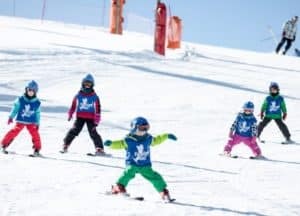 Prices vary throughout the season and with exchange rate changes but, as a rule of thumb, you need to budget approximately £70-£80 for ski, boot and helmet hire for children under 12. 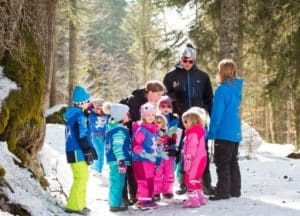 For a basic pair of boots and skis for an adult you’ll need to allow around £100 but will pay more if you are an experienced skier requiring higher quality equipment (up to approx £160). 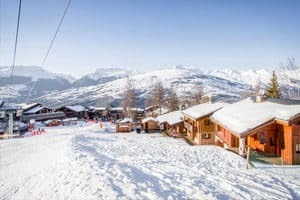 For more information have a look at the “Already Booked” Section of our website, under Ski and Boot Hire.